Behind The Thrills | Thrill Weekly Poll-Best Theme Park Food Destination 2012. Period. Thrill Weekly Poll-Best Theme Park Food Destination 2012. Period. 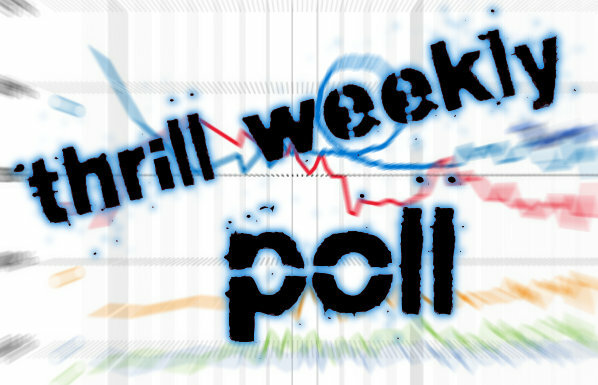 Thrill Weekly Poll-Best Theme Park Food Destination 2012. Period. Food at theme parks have come a long way in the many years since theme parks have entered into our lives. What used to be consisted of deep fried fatty foods, and popcorn now ranges from quick snacks to gourmet dining experiences. From eating food on a stick, to watching the flowers and candlesticks dance around you as you eat, food is no longer something you eat but more in something you do. With Thanksgiving looming over us this week, what better time to say thanks to the wonderful theme park food than to say it by voting for your favorite theme park food destination! This week we let you decide which park is the best damn theme park destination. Period. Is it the variety and flavors of all the parks in The Walt Disney World Resort? Perhaps it’s the flare and theming of Citywalk, Harry Potter and the great food at Universal Orlando? Maybe it’s the down home country goodness of Dollywood? You decide! In the fairness of keeping the list somewhat short, if a theme park is part of a destination (such as Walt Disney World) individual parks are listed as part of one destination. For the past two years the Best Food Destination has belonged to Busch Gardens Williamsburg. Will they cook up another victory? Vote and decide! There are tons of great food destinations in the U.S. and unfortunately we can’t get to them all. If we have forgotten your favorite theme park food destination, make sure to write it in on the “Other” ballot and we will consider it for nomination. Congratulations to all of the nominees! We recommend that all nominated parks and fans share on Twitter, Facebook and other Social Media outlets. This poll will determine the Best Theme Park Food Destination of the Year in our annual “Thrill Weekly Awards” which are to be announced in January. The poll will be open until 11:59 p.m. EST on November 25th, 2012.